This weeks quote of the week is another travel inspired quote, something which both myself and the husband suffer from…..Wanderlust. Once you start traveling, you’re inevitably going to want to see more. The world is choc full of beautiful places and unique cultures, and it’s just so much fun to explore! I’ve definitely got a case of wanderlust myself. It’s good to be able to put a name to it! 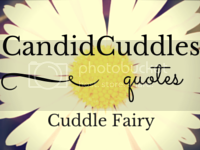 Thanks so much for linking up with #candidcuddles! We’ve been here just over 2 I’m still settled (longest time we’ve spent in a house yet!) But the husband is getting itchy feet!